Good communication- written and verbal Negotiation Marketing Team work Innovative thinking Should have thorough knowledge of MS Office. · Front end clients, anchor key accounts, develop new business relationships, generate and negotiate new income for the company to an agreed annual target. · Manage special projects end to end. · Understand Client requirements, modification instructions, project brief & event objectives. · Negotiate with clients & closing the deal. · Act as a bridge between the Client and the Operations & Creative teams. · Ensure the prompt and systematic servicing of all business enquiries. · Oversee end to end activities from lead generation to post event summary as needed to deliver flawless and memorable events. 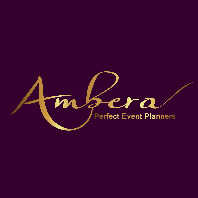 · Work in collaboration with Operations & Creative teams to grow the events business. · Manage a marketing team, nurture and grow them and be responsible for meeting your target and the team target. · Take empowered decisions regarding your team as well as business negotiations. · Market Intelligence: Identify and analyse competition and stay abreast with the latest event trends. · Understands customer requirements and provides timely solutions accordingly. · Build innovative strategies to retain key clients. · Map key accounts periodically to ensure sustained focus on key account retention. · Handle escalations and delivery turnaround time appropriately. · Ensuring 100% Client satisfaction in every project execution. · Leverage on client feedback and ensure continuous reinvention.